Rahul Yadav, the controversial CEO of Housing.com, has been fired by the board, bringing and end to his tumultuous tenure as CEO. In a board meeting on Wednesday at Housing.com’s headquarters in Mumbai, the company cited his “behaviour towards investors, partners and the media” as the reasons for his ouster. “The board believed that his behaviour is not befitting of a CEO and is detrimental to the company,” person aware of what transpired at the board meet told the Economic Times. Yadav will have no further ties with the company. He was reportedly asked to leave the premises after the announcement. Anticipating disturbances, the lawyers for main investor SoftBank had called in the local police to help in case of any resistance by Yadav, but he left without any incident. ET had earlier reported that Rahul had voluntarily quit a week ago, but that news had been mocked by Yadav. 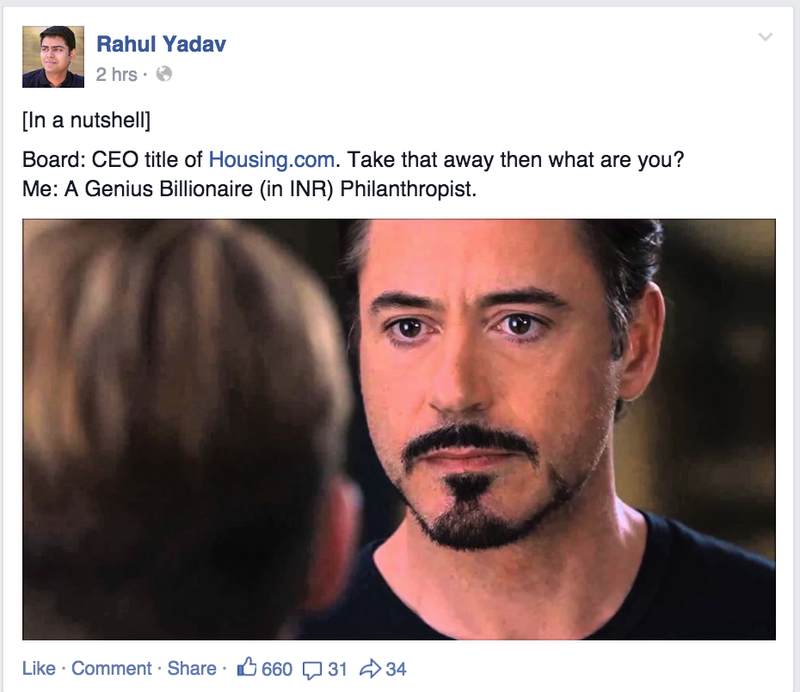 This time Rahul Yadav appeared to have accepted the board’s position, with this Facebook post.